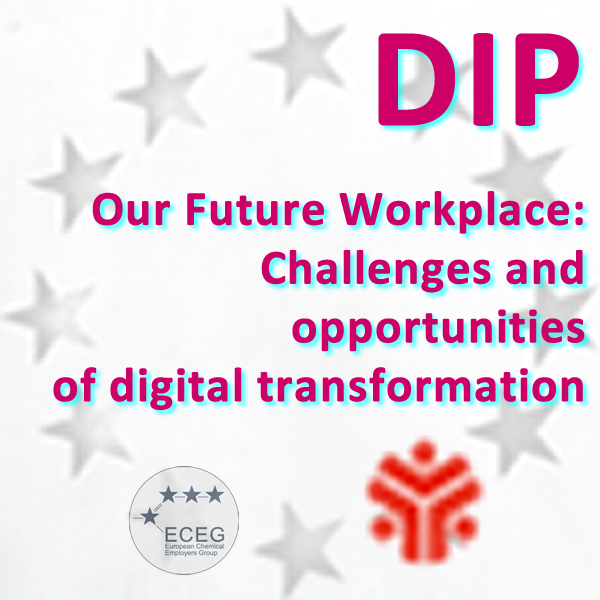 The European social partners of the chemical industry, industriAll European trade union and the European Chemical Employers Group (ECEG) manage activities for a two-year project cycle within their social partner project..
We look for experts on digitalisation, HR, training, health & safety and work organisation who would like to participate in our stakeholder survey. This 15 minutes survey will allow us to get an insight in current awareness levels, developments and future needs. You will have the unique opportunity to become part of a European research project which will be disseminated to EU officials and stakeholders. Please pencil 18-19 October 2018 in your agendas to attend our stakeholder conference in Tallinn, Estonia. ECEG and industriAll Europe affiliates will discuss with European stakeholders, regional experts and representatives of the national government of our host country. Travel and accommodation costs are covered.More information will follow in June..